after my first commodore c64, i was so much in love with the amiga and it took quite some time until i had my first amiga 500 in my hands. i still remember the smell of the package and the computer. the first boot up of the workbench, the mouse et cetera. a wonderful feeling. it was the computer i learned to program c on, after i had upgraded my basic from the c64 to amiga basic. i was fascinated by this computer, its graphics capabilities and the unbelievable amount of 512kb ram. after working with “atzec c“, upgrading to 1mb ram and having a ram disk to not always change the floppy disk all the time. i had the feeling that i needed to learn assembler. at that time i was writing 3d routines, i wanted to design my own flight simulator. and assembler was a wonderful way of learning the aesthetics of minimality. having a table of clock cycles per command next to your computer and refining algorithms to run ever faster was a great joy. 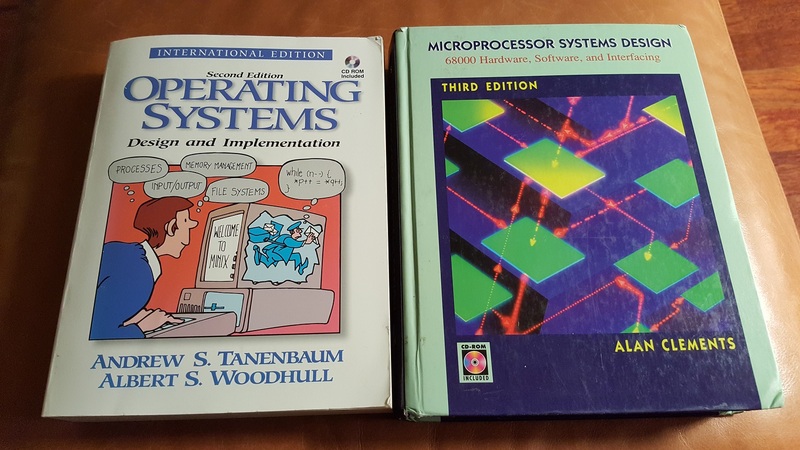 later in my life i came across minix, the microkernel architecture of a unix derivate and “the father” or at least inspiration for linux. again, i loved the simplicity of everything. the beauty of “processes vs data, input vs output” and the beauty of microkernels. i never actually did anything with minix, but now that i own the whole family of raspberry pis i’m truly tempted to give it a go. so, here we are: the combination of the two would be a great thing: bring 68000 back into my life and have minix running on it. fortunately, people have ported minix to the 68000, so i hope that this adventure will not leave me dead in the desert (since the ports are usually for macs or atari st). searching the web for crazy people who’ve built a 68000 homebrew computer, i immediately was inspired by 64 Katy, since this seems a simplified computer enough for me. this guy managed it to build one on a BREADBOARD! later on, he built a new version using an fpga (if i understand correctly, a cpld is an fpga) for the glue logic and an etched board. this is too far away for me, but i’d love to build one using perfboards and ic sockets. possibly, i could then increase its clock rate from the breadboard 2mhz to maybe four or six. i love katy’s architecture because it does a minimalistic approach, reduces all parts needed and i hope to understand how these parts work all together. especially i’m interested to learn what you need beyond cpu, ram and rom to get a system going (there’s obviously all these 74er series going on that do the glue magic). moreover, i’m happy that the guy was not over-engineering the “surroundings” like graphics, sound, keyboard etc (there’s another guy who did that) but really relies on the serial connection for input and output. so, the initial step would really be to build the 68008 version with 512k ram and 512k flash and get the monitor programm running. 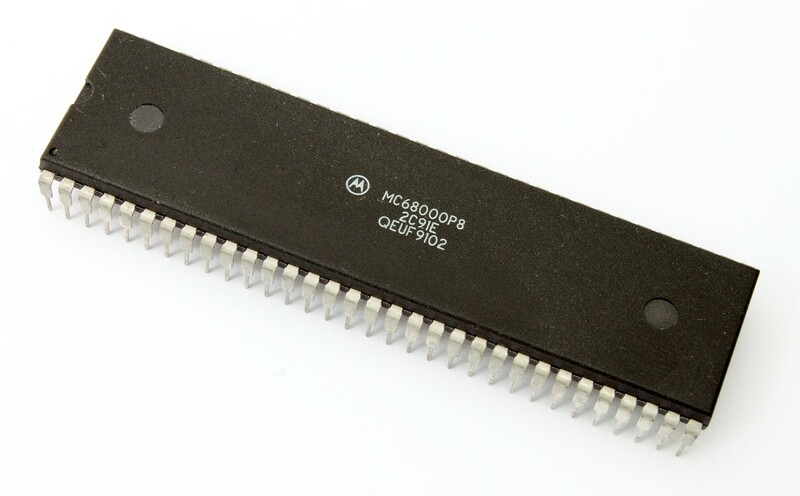 the 68k book also describes a single board computer, but that is also based on the 68000 chip which has the 16bit bus and thus would be a huge effort to build compared to the 68008 that is 8 bit. people in the internet also refer to this book that obviously also describes another design. interestingly, cpu, ram and flash cost about 12 euro altogether which is way less than the books :-D.
make munich 14, pt 3: kind-gerechtes lernen von computer & co. This entry was posted in 68k, electronics on 22. October 2016 by ramin assadollahi.